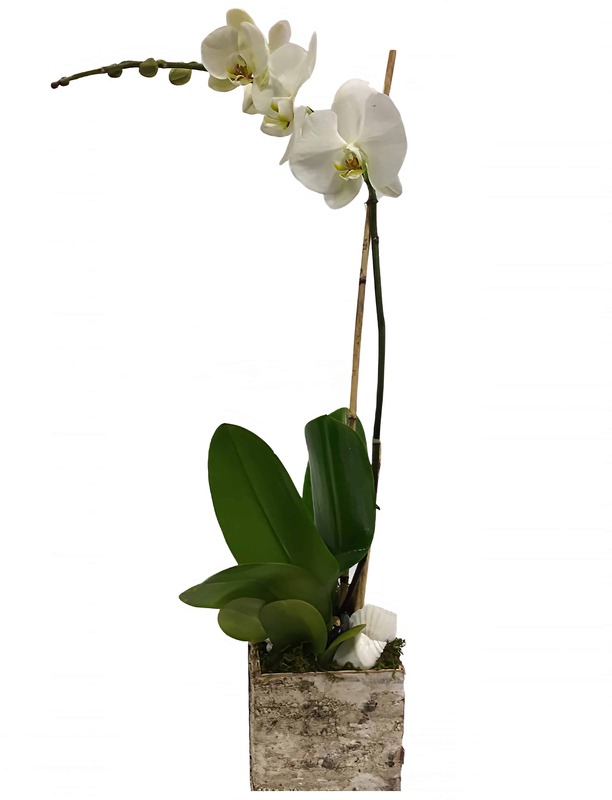 Our Phalaenopsis Orchid plants come housed in a glass container with decorative moss and other natural elements. If you like to talk, this is the perfect plant for you as sound waves have been known to help the blooms last longer! It is a very easy plant to care for and has the longest lasting blooms of all the orchids. Please call for a specific color request.